What Does Joshua 6:5 Mean? 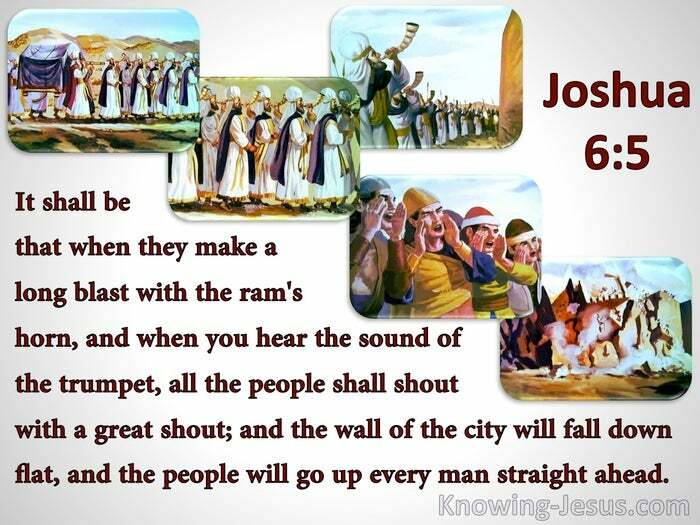 "It shall be that when they make a long blast with the ram's horn, and when you hear the sound of the trumpet, all the people shall shout with a great shout; and the wall of the city will fall down flat, and the people will go up every man straight ahead." Soon after their supernatural redemption from Egypt on Passover night, the Israelites were to enter the promised land. However, fear of the enemies and a lack of trust in God's promise to deliver the land into their hands, caused a whole generation to wander in the wilderness and die there, without receiving all that had been promised to them, through Abraham, Isaac and Jacob. After 40 years of wandering, Joshua finally led the people across the Jordan River into the promised land. The first city to be conquered was the great fortress of Jericho, with its enormous parapets and towering walls. 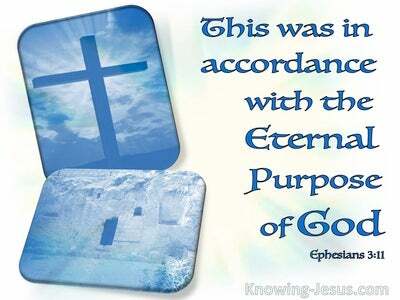 The Commander of the Lord Himself had promised victory, but the battle-plan was far from conventional! No traditional weapons were to be employed. 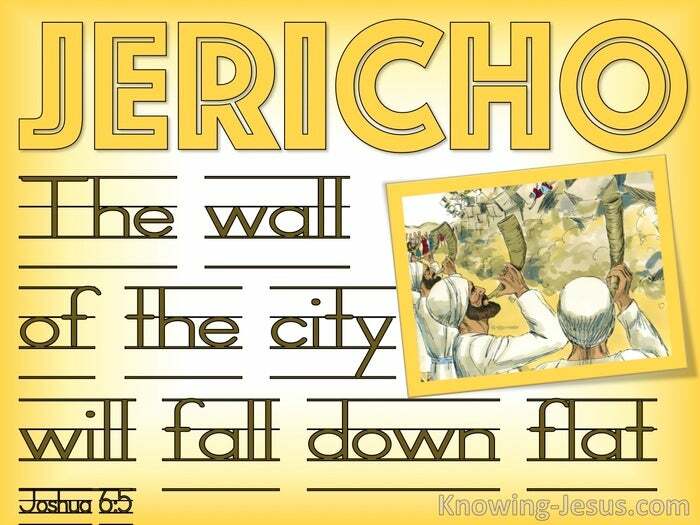 Rather the entire company was to march around the walls of Jericho.. once each day for six days. And on the seventh day.. they were to march around seven times, with the priests blowing trumpets and the Ark of the Covenant leading this curious, unconventional procession. Joshua carried out his God-given instructions, and followed the Commander's orders without question. The unusual drama was completed with a long, loud blast on a ram's horn and the company was to give a deafening SHOUT. We read that: all the people shouted with a great cheer; and the wall of the city fell down flat, and the people went up.. every man straight ahead.. to finally capture the city as promised by the Lord their God. The incredible truth, that is played out in this dramatic happening, is that the battle is not ours but belongs to the LORD. He sometimes uses conventional means to carry out His will in our lives.. but too often the Lord fulfils His objective in the most unusual and unorthodox manner. God played His part in the siege of Jericho and the walls fell down flat. But the people were to carry out their role.. for we read: the wall of the city will fall down flat, and the people will go up - every man straight ahead. Our job is to both trust Him and follow His instructions. Our role is to believe in Him and do only those things that we hear from Him. Our task is to stand on His promises and exhibit faith - even when we don't understand what God is going to do. 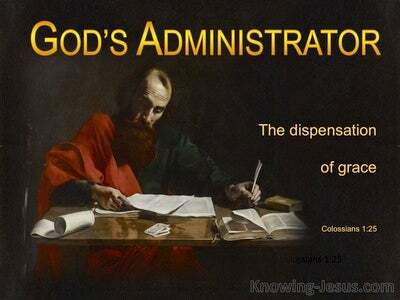 We are to listen to His voice and to trust in the Lord in every circumstance of life.. even when the difficulties we face seem to tower over us like the walls of Jericho - and then we are to act on our God-given instructions, that are found in the Word of God. We are to trust His Word, even when His 'battle plan' does not coincide with our own puny perception or limited expectation. 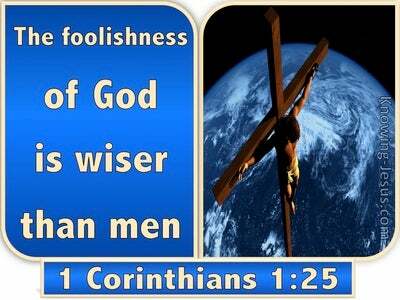 We are not to lean on our own understanding, but to trust Him implicitly. We are to hold fast to His promised Word and obey His voice. This honours the Lord in the face of our enemies. 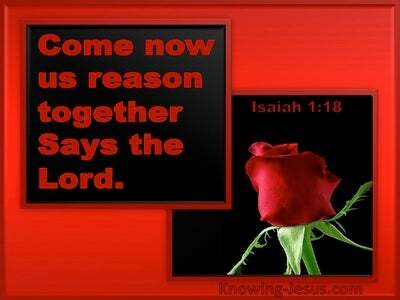 It acknowledges His authority, it builds up our own faith and deepens our personal relationship in our God and Saviour, Who died for us and rose again - to demonstrate His great love towards us all.